Nissan updates its B-segment supermini with a new turbocharged petrol engine and it’s a cracker. Nissan brings in a raft of engine updates for the fifth-gen Micra supermini, with the old 0.9-litre Renault-sourced engine replaced by a new 1.0-litre IG-T turbocharged unit. The best news is, this only improves the Micra even further. There are no changes to the sheet metalwork, interior structure nor the lights/wheels/paint to report on the 2019MY Nissan Micra, so we'll use this section to talk about what the Japanese company has done to keep its supermini relevant. The previous engine choices for the Micra Mk5 amounted to a 71hp normally aspired 1.0-litre petrol engine, a 90hp 0.9-litre turbocharged petrol unit and a 1.5-litre dCi turbodiesel, also delivering 90hp; the petrol options both had three cylinders and the diesel four. Both the 71hp ‘IG’ petrol and the diesel continue for 2019 and beyond, albeit not in Ireland - here, the diesel engine has been dropped. However, the main news is that the 0.9-litre unit has been replaced. Directly, it is superseded by this 100hp/160Nm, three-cylinder, 1.0-litre turbocharged ‘IG-T’ petrol motor, which is paired to either a five-speed manual gearbox or Nissan’s ‘Xtronic’ CVT (exclusively so in Ireland), making this the first time an automatic transmission has been offered on the current generation Micra. The CVT sees the 1.0’s torque marginally reduced to 144Nm, but otherwise this is a like-for-like switch for the old 0.9. Confusing the matter slightly is that there's another 1.0-litre 'DIG-T' engine as well, which delivers 117hp and 180Nm (200Nm on an overboost phase), but this is not just the IG-T with the boost turned up. It actually has direct fuel injection rather than multipoint and it also features a special cylinder head that made its debut on the 1.33-litre engine that is spreading out through the Renault-Nissan-Mitsubishi Alliance and also in the Daimler family, where it powers the new A-Class. Furthermore, specifying the DIG-T brings in changes to the Micra's suspension and steering, with the aim of making it sporty. Nissan views it as a warm hatch, to take on the likes of the Ford Fiesta ST-Line and the SEAT Ibiza FR, but at the moment the manufacturer is adamant that no truly 'hot' version of the Micra, perhaps wearing a Nismo badge, will ever appear. The 117hp engine ties into another development in the Micra family, which is the inclusion of an N-Sport trim grade. This, like the aforementioned Ford ST-Line and SEAT FR models, aims to offer sporty looks, inside and out, but without any technical updates - so you can have the 100hp IG-T engine in the N-Sport and gain softer suspension, and conversely, you could have the 117hp engine in SV specification and enjoy its firmer chassis settings, without having any visual giveaways as to its performance. At the moment, though, there is no indication that the more powerful 1.0-litre engine will make it to Ireland, as Nissan is just offering the pre-existing 71hp IG and new 100hp IG-T petrol options for now. The Micra N-Sport will be a special order model. We’re going to focus on the 100hp with the Xtronic transmission here. And while it might only have 10hp/4Nm more than the old 0.9 on paper, this is nevertheless a wholly welcome update to the Micra that feels - if not transformative - at the very least like a significant step in the right direction. Everything that makes the fifth-gen iteration of the Nissan such an appealing car (its superb refinement, its sprightly chassis and its striking looks) is retained, only now it has a much more cultured engine to go with it. Not that it's fast, mind you; even with the five-speed manual, which (regrettably) has a clunky gearshift action, it'll take 10.9 seconds to hit 100km/h from rest, but with the CVT it's even slower. That's not such a problem, though, because it makes a sweet noise all around the rev counter and it feels smooth to operate, with no vibrations making their way into the cabin. It's good and torquey too, meaning it's easier to replenish speed lost when trucks pull out in front of you on a motorway, for example. Indeed, at 110km/h, the impressive ride, superb noise suppression and silky drivetrain all serve to make the Micra feel like a much larger and more luxurious car than it actually is. However, our main praise goes to the CVT. It's easily the best of its type that we've tried, because it mimics a 'true' automatic by revving up, then dropping down as if it has shifted gear before revving again. You get none of that awful high-revs screaming or feeling of 'clutch-slip' from it and yet all of the supposed fuel economy/slickness benefits of having no physical cogs shuffling about in the bellhousing. If all CVTs were like this, we perhaps wouldn't rant about them so much - even if the Xtronic is still no match for a really good, modern torque-converter auto - and because the 117hp DIG-T Micra has an abrupt, high-biting clutch, while the 100hp IG-T Micra manual has the imprecise five-speed gearshift mechanism, we reckon the 100hp CVT is actually the pick of the refreshed Micra range. Nissan Ireland offers a familiar four-trim spec line-up of XE, SV, SV Premium and then SVE for the updated Micra. Prices start at just shy of 20 grand for the 1.0 IG-T XE, which has air conditioning, LED daytime running lights, 15-inch steel wheels, electric front windows, a tyre-pressure monitoring system and a smattering of driver assist safety systems, but it's probably worth stepping up to the SV grade (from €20,795), whereupon seven-inch infotainment with Apple CarPlay, cruise control, 16-inch alloys and body-coloured exterior detailing are all added to the mix, along with a few more choice items. Option bundles like the Safety Pack (€550) and the Tech Pack (€1,200) bring in even more desirable equipment, although they do of course push the Nissan's price even further away from a €20,000 list price. Nothing too drastic on the face of it for the Micra 2019MY update, but Nissan has enacted some worthwhile, beneficial changes to this likeable supermini. The 1.0-litre IG-T engine is much better than the 0.9 it replaces, and the automatic transmission turns out to be the best companion for the Micra's particular skillset. It might not quite be good enough to topple the Ibiza and Fiesta from the top-of-the-class podium, but the Nissan Micra is definitely up there as one of the first things you should otherwise be considering in the B-segment marketplace. 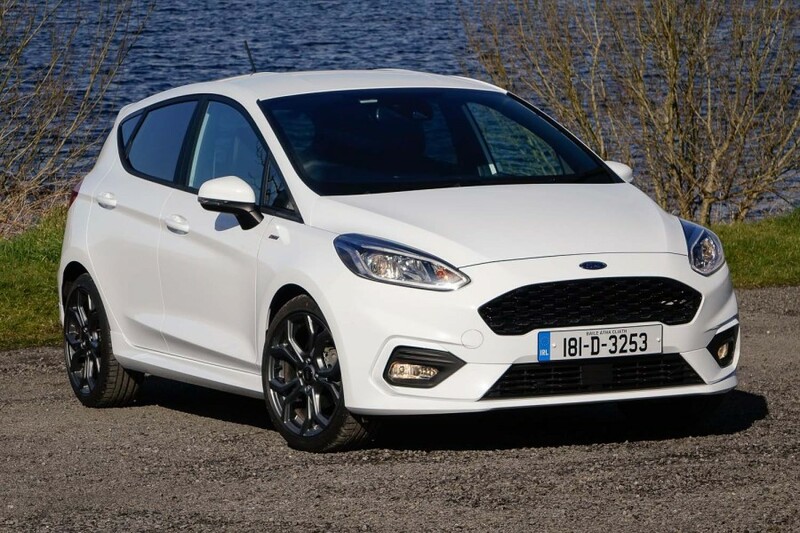 Ford Fiesta vs. Nissan Micra 1.0 turbo petrol (2019): although the Ford is a more polished machine all round than the Nissan, the latest changes to the Micra move it ever closer to its Fiesta rival. 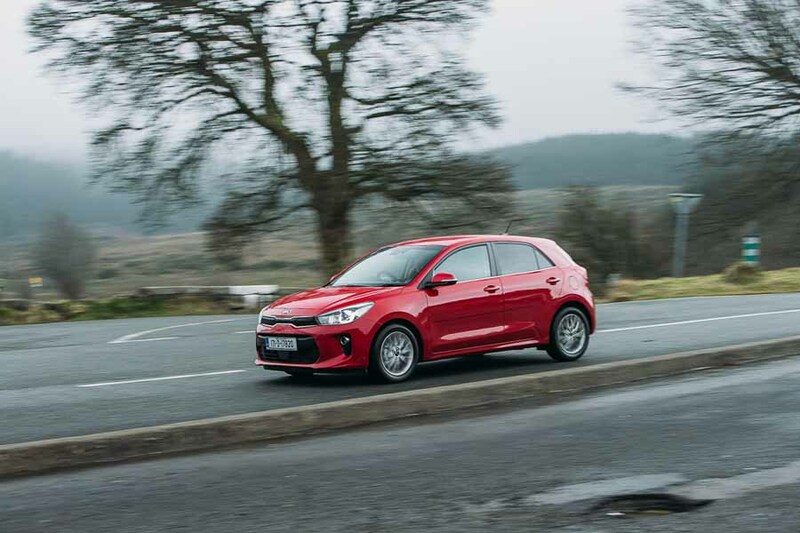 Kia Rio vs. Nissan Micra 1.0 turbo petrol (2019): spacious and attractive, and there's a seven-warranty to factor in, but the Rio can be dull to drive and some of the engine choices, particularly the 1.2-litre petrol, can be coarse. 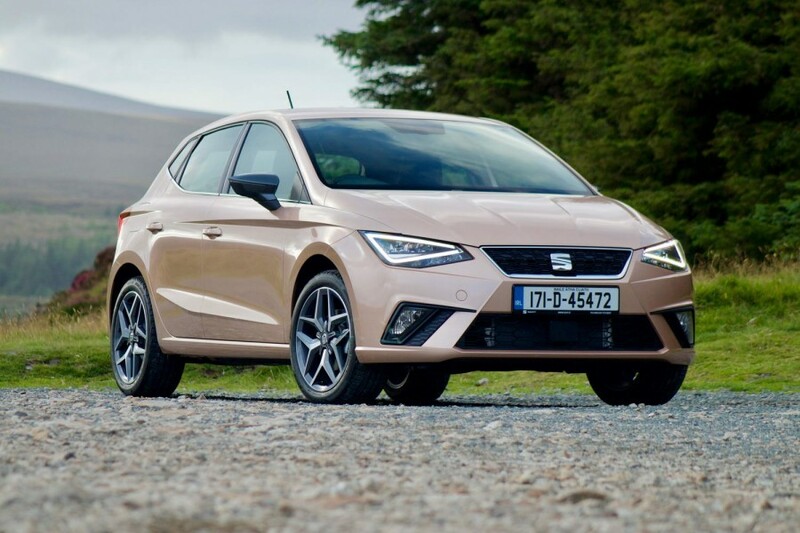 SEAT Ibiza vs. Nissan Micra 1.0 turbo petrol (2019): sharp styling and a lovely chassis from our favourite B-segment contender from within the Volkswagen Group. Ibiza's 1.0-litre engine has the beating of the Micra's, either in 95- or 115hp guise.